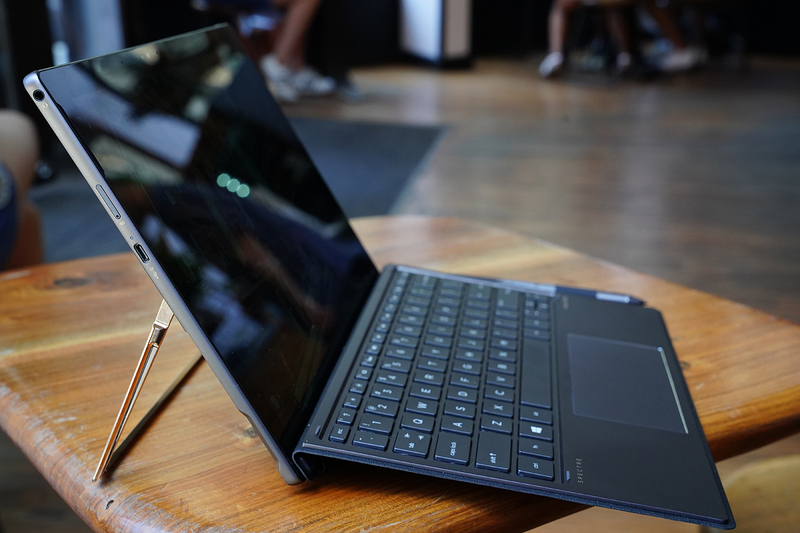 The Spectre x2 is what a Surface Pro would feel like with HP’s design cues and a few better specs for the dollar. In fact, most of the Spectre x2’s drawbacks stem from having to squeeze so much into its frame, which is better than having glaring software issues. Nearly free of stutters under heavy workload, Windows 10 remains a smooth experience. The internal specs of a machine like this are important, because it’s what separates from being a pretty slate to a fully functional windows machine. Thankfully it’s the latter. The model I’ve been using has a 7th-gen, dual Intel Core i7 processor (clocked at 2.4 GHz), 8GB of RAM, a 360GB SSD, Windows Hello camera and Intel Iris Pro graphics. Like any touchscreen device, it’s the screen that has to shine. 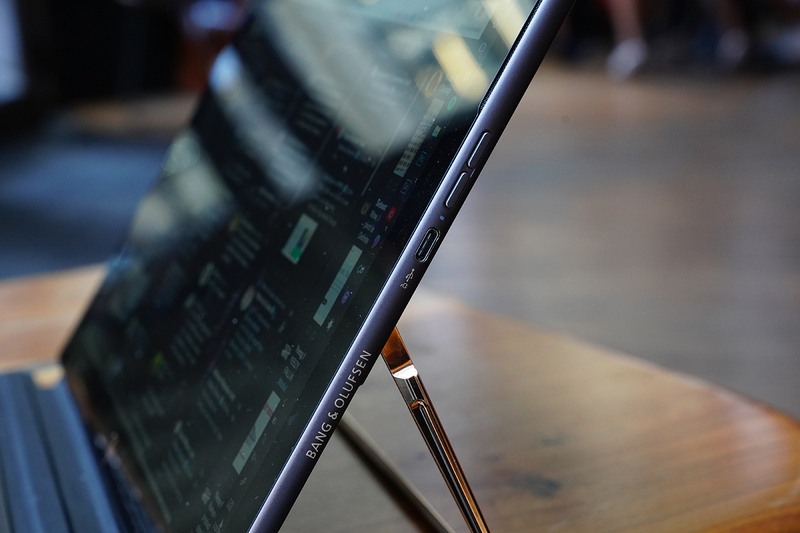 The Spectre x2 frames its 12.3-inch screen with bezel space all around, which is alright. Resolution is set for 3000 x 2000 at 293 pixels-per-inch, another edge it has over the current Surface Pro’s 2736 x 1824 screen of the same size. 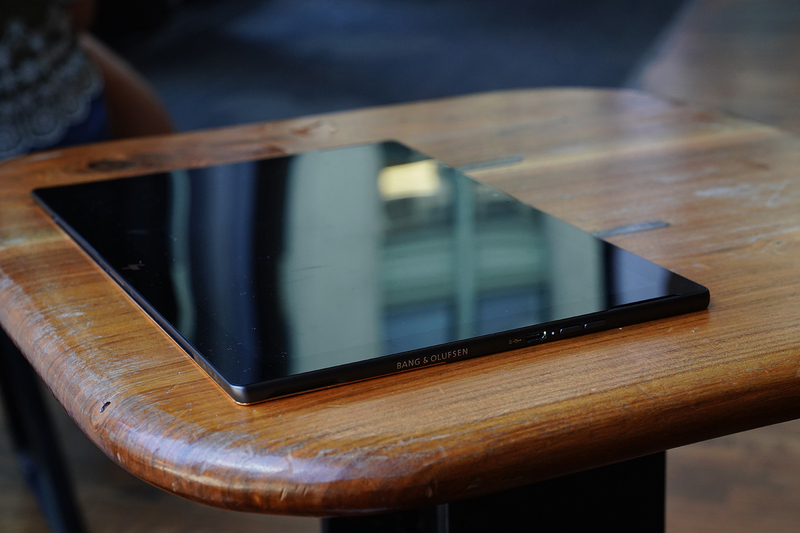 Its dimensions are also peak portable: it weighs 2.49lbs and is 13.2mm thin with keyboard, or 1.68lbs and 7.7mm thin without. However, there is one spec that I’m not too impressed with, and that’s the x2’s Adobe RGB color gamut: just 72%. I’ve been lamenting over color correction on Windows machines the past couple months (and will continue to), it’s something I hope all manufacturers will take more seriously. After all, who wouldn’t want a dazzling tablet display with correct and complete color reproduction? For a similar Surface Pro with Core i7 and 8GB RAM to match, you end up spending $300 more than you would on the Spectre x2 — and the Surface’s price doesn’t even include the keyboard. I’m incredibly pleased to see that the included keyboard isn’t an afterthought. Not only is a backlit, island-style keyboard with 1.5mm of key travel but mimics the other Spectre keyboards with a wide, fairly accurate touchpad. On the flip side, the Spectre x2’s keyboard has a textured and rubber-like cover that keeps it glued to tables. It’s easy to clean, comfortable to use and as I’m typing this, reminds me a lot of the keyboard on a real laptop. 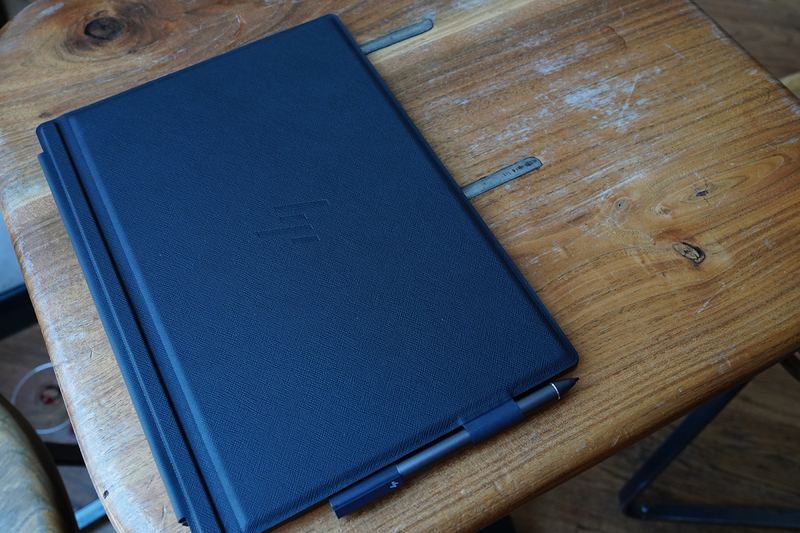 The fact HP went with a simple but effective U-shaped metal hinge, that opens up to 165 degrees, also aids its case. 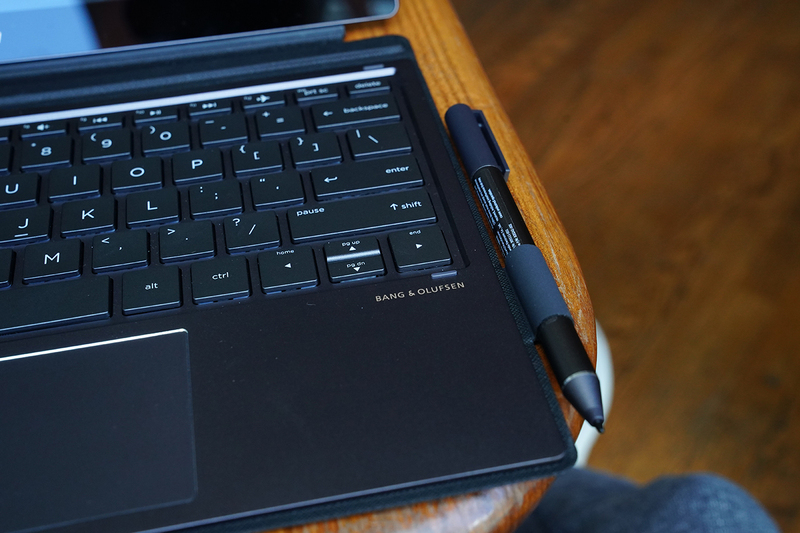 The Spectre x2 has plenty of input methods: pen, touch and keyboard, which are all reliant on Windows 10. Say what you will about the actual usefulness of the tablet and desktop modes, this tablet performs well in either user environment. Real business goes down in desktop mode, of course. You get four ports: two USB-C for display/charging/data (no Thunderbolt), one 3.5mm audio jack and a microSD slot. To migrate SD card files for use in Lightroom, reach for your nearest dongle. Now, try not to be disappointed: battery life on the Spectre x2 isn’t astounding. You can’t squeeze a huge battery into a 7.7mm thin frame, in mid-2017, at least for now. On an intensive run with Chrome and Spotify running at max brightness and Bluetooth enabled, I peaked at six hours of battery. 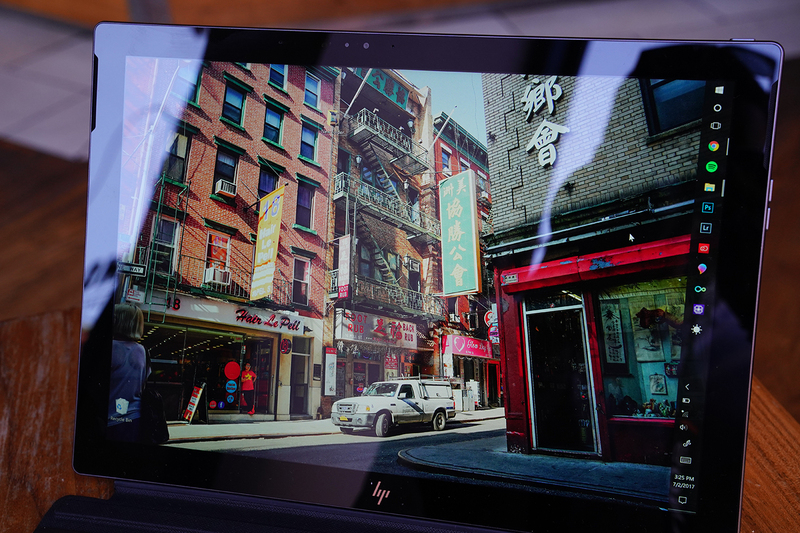 HP advertises eight hours, which I can see being possible if you’re conservative, but I use mobile systems with the same vigor as my desktop ones — or at least try to. Probably the x2’s biggest flaw is its lack of being much different to other Windows tablets with Core i processors and detachable keyboards. Still, the Spectre x2 is a strong Windows 10 machine with good processing power, screen quality, aesthetics, pricing and accessories. Its main shortcomings are its tinny Bang & Olufsen sponsored speakers, less than incredible battery life and a small 72% color gamut. It also tens to run quite warm, if you’re pushing it on the mulitasking front. If you’re in the market for a tablet that doubles as a productivity laptop out of the box, then you have a (safe) option with the Spectre x2. The charger is a small cube that you can easily carry around, maybe charging up twice a day. While Microsoft’s smoother Precision touchpad drivers are absent, the Spectre x2 is still a tablet with the times.